Joe Biden is an American politician. He is the 47th and current Vice President of the United States under President Barack Obama. He is the first Roman Catholic Vice President of the United States. He has been an advisor to President Obama and he has been responsible for many major Acts the last few years. He was against the Gulf War in 1991, but he advocated the U.S. and NATO intervention in the Bosnian War. He also supported the Iraq War in 2002, but he was against the surge of U.S. troops in 2007. He has been married twice and he has fathered 4 children. His son, Beau Biden, died of brain cancer at the age of 46 in 2015. Senator Biden gives his opening statement and questions U.S. Ambassador to Iraq Ryan Crocker and General David H. Petraeus at the Senate Foreign Relations Committee Hearing on Iraq. 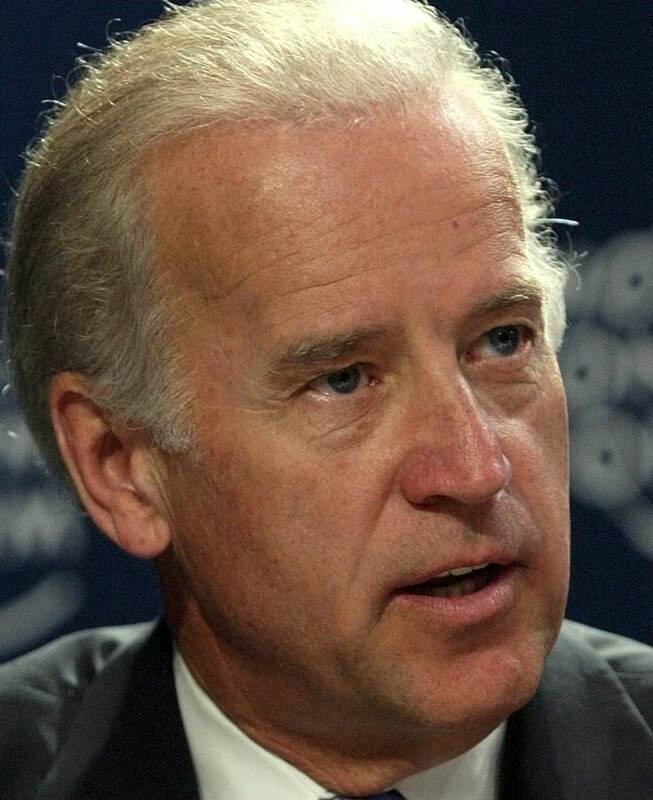 Joe Biden is a famous American politician, who was born on November 20, 1942. As a person born on this date, Joe Biden is listed in our database as the 1st most popular celebrity for the day (November 20) and the 10th most popular for the year (1942). People born on November 20 fall under the Zodiac sign of Scorpio, the Scorpion. Joe Biden is the 43rd most popular Scorpio. Aside from information specific to Joe Biden's birthday, Joe Biden is the 326th most famous American and ranks 9th in famous people born in Scranton, Pennsylvania, U.S. In general, Joe Biden ranks as the 558th most popular famous person, and the 18th most popular us president of all time. “The Famous Birthdays” catalogs over 25,000 famous people, everyone from actors to singers to scientists to serial killers and more. If you're curious to see who was born on your birthday, you can use our database to find out who, what, where, when and why. You can search by birthday, birthplace, claim to fame or any other information by typing in the search box, or simply browse our site by selecting the month, the day, the horoscope, or any other clickable option. 9th born in Scranton, Pennsylvania, U.S.